Home Unlabelled Portland's @CoolNutz Drops His New Album "Terrance"
Portland's @CoolNutz Drops His New Album "Terrance"
It seems like the shelf-life of a rapper is getting shorter and shorter, and in 2017 if you're lucky enough to have people talking about your new project even a month after you release, you're most likely doing something right. By those standards, if you have people still talking about your music after 15 years, you've definitely cracked the code. Enter Portland's true trailblazing, pioneering artist Cool Nutz and his new album, Terrance. 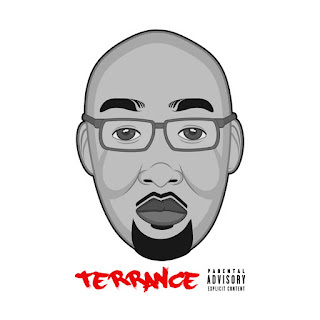 With over 15 official projects under his belt, Nutz, who legally goes by Terrance Scott still has the hunger to push his art and show off his ever-improving songwriting ability. Tapping an all-star cast of features including Nipsey Hussle, E-40, Mistah Fab, Slum Village, Bosko, Mitchy Slick and much more, Nutz never falls out of place or gets outshined on the track. Holding his own and adjusting his style while working with various producers on this album including Bosko, Cee Goods, LawzSpoken, TOPE, J. Fresh, and more. Already having received love by top publications such as Okayplayer, Hip Hop DX, and The Source, fans have been craving the new album from Cool Nutz as he has successfully been teasing his listeners with plenty of fire singles from Terrance. Not only collaborating with some of the industry's top names, Cool Nutz also reaches back and shows some love to some of Portland's top artists including Maniak Lok, Illmaculate, Drae Steves, Rich James, Anael Jeannis and more. Giving listeners a look at the man behind the curtain, Nutz takes time to reflect on the hustle that it took to get him where he's at today and takes a little to flex on the haters as well. Currently hosting The Northwest Breakout Show on Jamn 107.5 every Sunday night, Terrance has also linked up with one of the NBA's top rising stars CJ McCollum for The Playlist - a monthly radio show that has gained attention from Complex and much more. Be sure to check out the dope new album Terrance from Portland OG Cool Nutz and tap in with him on Twitter!